17-Year-old rap sensation, Big Ligiee from Virginia Beach, VA saw his passion in music at the age of 12 years old making beats on FL studios software, from there with a little equipment he set up his home studio, where he not only created beats, which he would post on Instagram, but he started to write and the more he wrote the better he became at the skill, once he started recording and mixing his own music, things quickly took off. After he released his first EP on SoundCloud entitled ‘3 % Loading” he began performing around the area at open mics and different events around the city. He had released two more projects, one which was a mixtape “Great Since Birth” and another “Pressure Season” all before the age of 16 years old. Ligiee struck success with his debut single Guapanese which he produced and wrote in 2017. The single was released on his “Pressure Season” project and re-released under the G-Man label. The single was a hit amongst his peers and became a hit on the radio. Two months later he caught the eye of a promoter who got his manager in touch with a local record label, who was able to expand what he was already doing on a smaller scale. 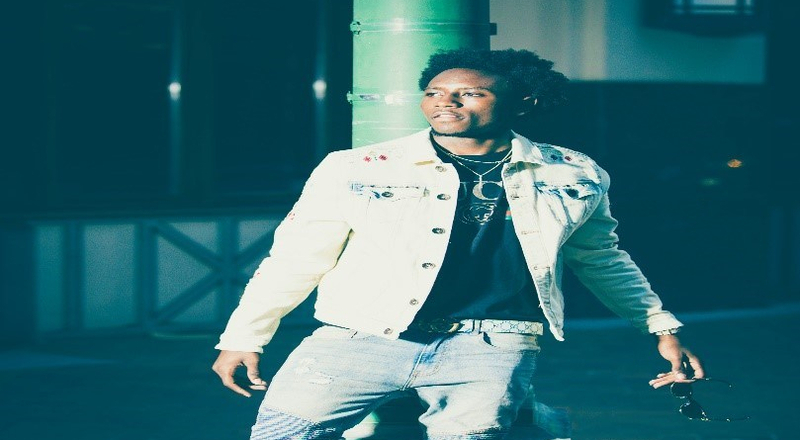 Since then his music career has brought on many opportunities including being a Fresh Empire ambassador and opening up for acts including NBA Young Boy, Chief Keef and many others. Big Ligiee has grown a solid fan base, particularly within children and teens. A notable moment in his career was performing in Los Angeles at the BET Experience in June 2018. His latest project which was released in August of 2018 Weight on My Name” is a 2-side Double EP featuring a high energy, trap style on Disk 1 while Disk 2 features more of a soft, melodic style showcasing his versatility. Courtesy of G-MAN Entertainment Music Group. The EP will be available through all major digital retailers. You can listen to “Weight on My Name” on Apple Music, Spotify, Amazon Music, and Google Play.